Boko haram terrorists attacked Troops of the Operation LAFIYA DOLE in an Ambush in Ugundiri village in Borno state. 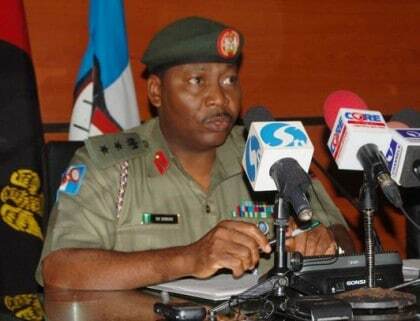 The Acting Director Army Public Relations, Colonel Sani Kukasheka Usman stated this in a press release on Sunday. “Troops of the Operation LAFIYA DOLE carrying out clearance operations on suspected Boko Haram terrorists hideouts in Talala and Ajigin, southern part of Borno State, were ambushed by suspected Boko Haram terrorists at Ugundiri village, Damboa Local Government Area, Borno State, while returning to base after clearance operations yesterday.” He said.